In a designated Child Friendly Area in a war ravaged territory of the Democratic Republic of the Congo (DRC), many orphans were plagued with dysentery and dehydration. Answering this appeal for help, ACN dug a well and purified its water so that today 244 orphans and 69 households have easy access to drinkable water. ACN assistance did not stop there. 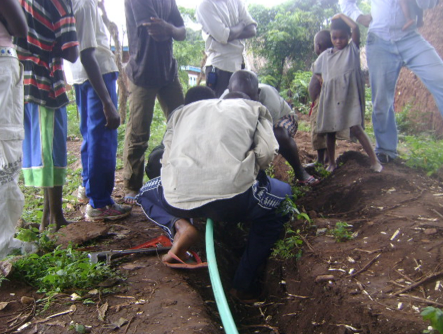 When it was learned that a nearby village was also suffering from large scale dysentery and dehydration, ACN provided a connection from the ACN well to the nearby village. 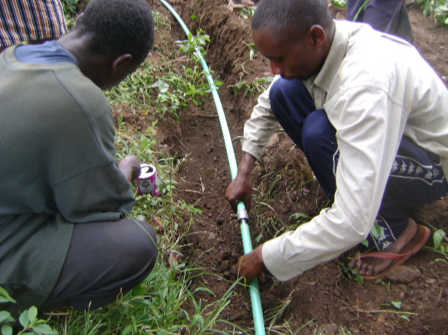 The 290 children in the village of 51 households now also has access to purified water. Burundi Refugees in DRC - 7,000 refugees arrived by boat from nearby Burundi, and the government gathered the refugees into three camps, provided them with tents and enough food for one meal a day. ACN assisted the most vulnerable of the refugees, 300 orphans, by providing mosquito nets and blankets. 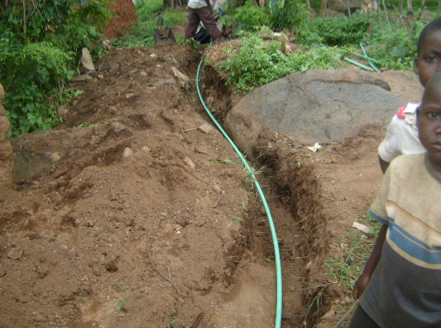 A women's group worked with volunteers to dig latrines to prevent the spread of cholera. In April 2017, a 14-year old girl accused of witchcraft in the Democratic Republic of the Congo (DRC) was burnt alive. ACN has partnered with the non-profit REFEADES in the Democratic Republic of the Congo to prevent this from happening again. 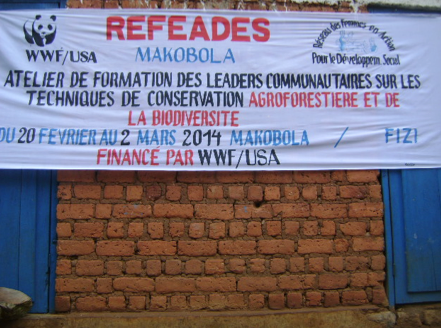 In the past few months 52 girls accused of witchcraft in Makobola were identified and interviewed by REFEADES. All of these girls had been mistreated, required counseling, and had been barred from attending school. Working closely with a psychologist REFEADES, our partner in the DRC, and ACN placed 10 of the 52 girls into a soap production cooperative started by ACN and REFEADES which is now totally self-sufficient. 32 of the girls aged 9-14, were placed into a primary school that ACN renovated after a bombing. We were unable to find the remaining 10 girls after their interview. Funding is needed to continue to keep these girls in school. The psychologist has been busy helping the girls transition from a world that rejected them to a world that now embraces them. A large regional awareness campaign involving many prominent citizens has opened many doors for the accused. ACN now focuses on maintaining the gains we have made.